Die nächste Foto-Inspiration bei den Daring Cardmakers steht an. Ich habe mich für die Farben, Punkte, eine schönen Schriftzug, ein verliebtes Paar und ein klares Design entschieden. 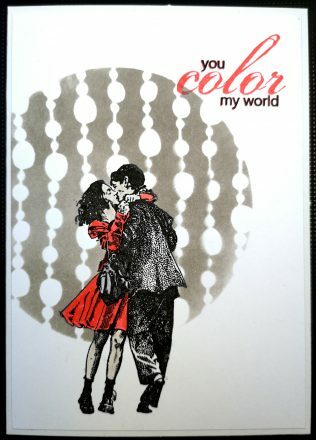 It’s time for another Daring Cardmakers picture inspiration challenge. I went for colours, dots, lettering, a couple in love and the clean & simple style of the moodboard. 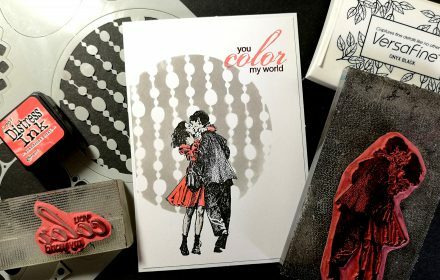 Love your take on the elements Svenja and that couple was the perfect stamp for this! The beadstring background looks great too! WOW, A stunning card. I love how you make all your stamps work together.